A British-style brass band based in Watsonville, CA, and directed by retired school band director and administrator Gonzalo "Bert" Viales, this ensemble utilizes the standard instrumentation of the genre: cornets (not trumpets), flugelhorn, Eb tenor horns, Bb tenor horns (baritones), tenor and bass trombones, euphoniums, Eb and Bb tubas, and percussion. It performs a few times each year throughout the Monterey Bay area. Yvonne and Norman began with the ensemble in 2000 with Yvonne on bass trombone and Norm on euphonium. As with many of the groups we have played in over the years, Norm tended to move around over our 2½ years in the PBB also playing percussion (drum set), first Eb tenor horn, second trombone, and Bb tuba. This is an "official" portrait of the band taken prior to the September 24, 2000, concert in Carmel Valley, CA. Bert Viales stands in the center of the back row. Norman played Bb tuba and is on the right end of the front row. Yvonne played bass trombone and is fifth from the right of the second row. 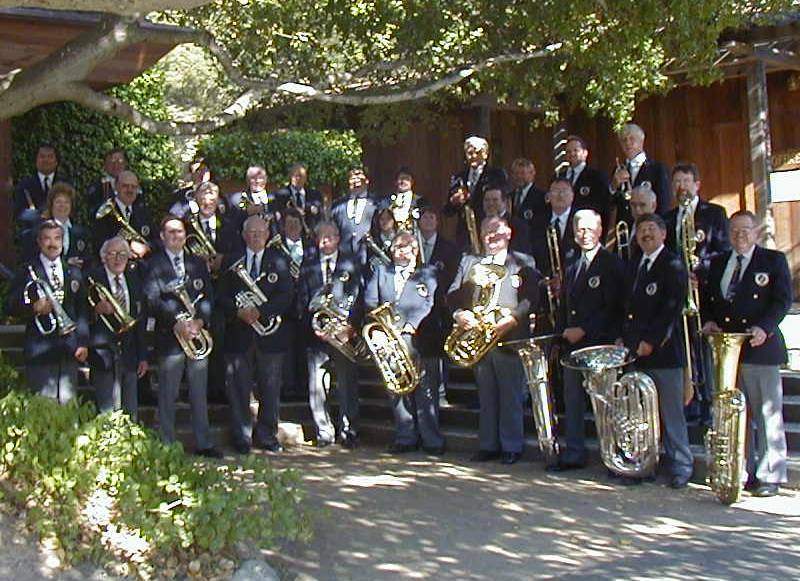 This photo was taken just prior to the beginning of the April 20, 2002, concert in Salinas, CA, featuring soloist Ronald Romm (formerly of the Canadian Brass). 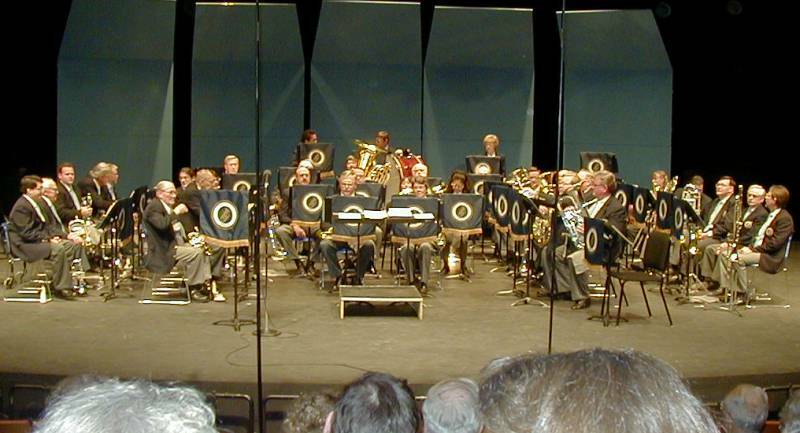 Norman is on Eb tenor horn sitting second row center (immediately in front of the tuba) and Yvonne is on bass trombone sitting fifth from the right of the row farthest right. Included in this concert was the premier performance of the brass band arrangement of Norm's composition "Numbers" (originally for concert band).